A lot of children these days face potential threats from surroundings in different ways and many parents are not aware of them properly. Child protection from criminal activities such as abduction, drugs, physical abuse, online addiction, and mental tortures for reducing unwanted issues. Child abuse and crimes are increasing day by day in various parts of the world which need extra child protection. Parents should educate their children about how to protect themselves in dangerous situations that can ultimately help to avoid risks. Children should learn about the safety practices from their parents when they are at home, out, and online. This will help to stay away from various problems for witnessing peace of mind. In addition, schools and communities should teach child safety skills for minimizing the problems to a large extent. Parents are responsible for creating a safer environment for children in order to prevent them from crimes. Another thing is that they should track the activities of caretakers and nannies after appointing them. 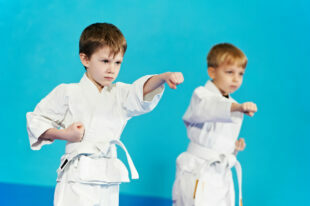 In addition, they should educate children about basic child safety skills that can result in major advantages. It is the duty of every parent to make home a place of trust for children and they should support them whenever they face certain problems. However, they should consider the following things when they think about child safety in their mind. Parents should teach some basic safety tips to children to make them stand on their own legs during troubles. A child should know how to share complete details such as the name of parents, address, phone number, and the nearest landmark. Since young children forget details quickly, parents should train them with special attention to make effective communication. Strangers and some unknown persons will try to divert the attention of children which result in crimes. Hence, parents should educate children not to go with anyone and advise them to call immediately for help. They can even train them to use code words when a person comes to pick up them. Parents should teach children about the difference between a good touch and a bad touch that can help to find persons who misbehave with them. Furthermore, they should tell a child to report immediately when someone tries to touch him or her inappropriately. The emergency phone number is available from law enforcement departments and a child should know to use it properly. The parents should train a boy and girl child to call the phone number as soon as possible which help to control unwanted problems. If a child is not able to find a parent in markets and other places then, he or she shouldn’t become panic. Instead, a parent should tell a child not to leave a place and ask help from reliable persons for reducing complications. Children shouldn’t approach adults when they want to know some information. Parents should tell their child to stay alert when an adult approaches for him or her. Children should never accept a ride from unknown persons because they bring more troubles to parents. Also, they will lead to abduction and other crimes that can affect a family in various ways. Criminals will always look out for the best opportunities for attracting children with gifts and other products. Parents should tell them not to accept any such things from unknown persons in order to prevent crimes. Self-defense is one of the best ways to escape from criminals and abductors. Parents should teach how to use some products such as sprayers and other products quickly which help to manage difficult situations with ease. It is important to teach a child at an early age about road safety that can help to control accidents and other issues. The parents should educate children how to cross a road safely which ultimately reduces risks. Parents shouldn’t allow their children to wear clothes with their names on the front where others can see them easily. Riding a bicycle in deserted and isolated areas will result in crimes. Therefore, parents should teach them how to make a ride safely with groups for eliminating unwanted problems. Wearing a helmet and other accessories enable a child to prevent complications and potential risks. Parents should advise their children not to hide anything which gives ways for controlling the risks. Also, it helps to have open communication with them for making a better decision. How to make children stay safe in a home? Parents should keep in mind that child safety involves various challenges when they leave him or her in a home. Therefore, they should make some alternative arrangements for getting more protection. It is advisable for the parents to appoint a trusted caretaker or nanny from known resources that can help to take care of a child easily. Parents must ensure child protection in the neighborhood for lowering risks efficiently. They should prepare a list with children to know about the boundaries with significant landmarks in detail which ultimately gives ways for reaching home as soon as possible. It is a wise one to let children visit a neighbor’s home after interacting with the people. Another important thing is that parents shouldn’t drop their children alone in places which are not familiar to them. Besides that, a child should never go anywhere and anyone without getting permission from a parent. Preparing the route map to a school with important roads will help a child to avoid isolated areas and shortcuts. Children often like to hang out with their friends for playing games and other activities. On the other hand, it is necessary to make sure that they are safe when they are away from home. The first thing is that parents must aware of the threats when a child wants to go outside. In fact, they should talk about the dangers in advance for preventing risks. Parents should set some basic rules when a child wants to engage in outdoor activities. It is a good idea to have a test run before letting children outside for the first time. In addition, parents should evaluate some things such as distance, location, return time, communication, and the tasks they want to perform. Guiding children will help to safeguard themselves from dangers from criminals and other people. Parents should make sure that schools cover child safety measures properly that can help prevent any unwanted issues. It is an important one to choose a school based on certain factors such as transport, safety checks, CCTV cameras, limited access to visitors, toilets, and so on. Schools should focus on organizing workshops for creating awareness about child crimes and cyberbullying. Mobile technologies are improving day by day and many children use them for playing games. A research study reveals that several children spend more time on their smartphones. Parents must monitor them regularly when they utilize phones. They should speak to their children about cyberbullying and other problems to stay safe. This, in turn, gives ways for enhancing child protection to eliminate threats with high success rates. It is an important one to restrict the use of mobile phone devices with certain apps for reducing safety concerns. Parents should speak to their children what are going to do with mobile phones and set certain limits for reducing the problems. This will help to explain what is appropriate for them when viewing the content and context. It is advisable for the parents to tell their child not to share any personal information online with others. Children should aware of cyberbullying in detail for controlling threats effectively. The internet is becoming a wonderful place for many children allowing them to play games and carrying out other activities accordingly. However, one shouldn’t forget about the risks involved in online browsing. Parents should know whether the sites, social media platforms, apps, and games are a safer one when a child uses them. There are many apps available for setting a time limit to children when they want to use smartphones and parents can install them for getting protection from cybercrimes. They even provide ways for blocking unwanted sites effectively with the latest features. It is necessary to know whether a child is chatting with a right or wrong person online. Video chats allow children to connect with strangers easily and some of them may record them without their knowledge. Therefore, it is necessary to limit them to get protection from bullying and harassments. Parents should monitor the video shares and video streaming for preventing risks in life. Using a firewall and VPN will give ways for preventing the identity of a child as well as a family for controlling crimes. Social media such as Facebook, Instagram, and Twitter allow children to make friends in quick turnaround time. However, there are many adults who create an account with fake ids and a child shouldn’t share any personal photos with them that can lead to cyberbullying. Children learn many things from their parents when it comes to discipline and other things when they spend more time with them. Hence, it is advisable for the parents to become a role model which ultimately help to prevent various issues in life. A child should browse the internet with high privacy for staying safe online. Educating children and getting involved with them will result in many benefits. Parents should stand by them and enforce children to ensure high safety in digital media. How technologies can ensure the safety of children? Children often face problems with people who have malicious intentions. That’s why child safety is gaining more importance in various parts of the world and many organizations are raising their voices against those who indulge in crimes. Technology offers solutions for child protection to stay away from crimes and other issues with modern features. In fact, it provides a great boon to parents to eliminate worries when they are not involved in young one’s daily activities. Nowadays, technologies play an important role in ensuring high safety to a child with the most advanced applications. They make feasible ways for tracking the movement of children and receiving notifications on a real-time basis. Apps are an excellent choice for parents who want to secure their children from inappropriate activities. In addition to that, they allow kids to understand the values of limits while viewing certain websites. Parents can block their child from watching adult content and texting messages to strangers. It is possible to get the browsing history and other details with them that can help to control children from unwanted problems. As there are several apps available on the markets today, it is important to make a detailed study of them from different sources for choosing the right one accordingly. The parental control apps even help to know more about the activities of a maidservant or nanny in a home. A GPS wrist band or watch is a perfect choice for children who want to track the movements of children with ease. Moreover, it helps to find a child in the event of abduction and other problems. The device contributes more to ensure child protection with the latest features for lowering stress levels. It even gives ways for locating a lost child in a crowd at the earliest. CCTV camera is a suitable one for watching the movements of children in a home from computers, mobile phones, and other devices with high accuracy. It is possible to install the device anywhere in a home which gives ways for recording both audio and video with cutting-edge technologies. Moreover, it allows parents to know whether a nanny takes care of a child properly when they leave home. The device provides ways for controlling the physical abuse of caretakers and other family members to stop them immediately. At the same time, it is imperative to know whether installing a camera is legal or not in a state or location. This is because it requires permission in some countries that can help to avoid legal problems. CCTV surveillance cameras come in various types which exactly fulfill the expectations of parents. It is a wise one to choose them after making complete research. A safety alarm enables parents to keep their children away from harm and other problems. It takes many forms which can help to trace a missing child. Furthermore, it contributes more to alerts when a child is in danger. 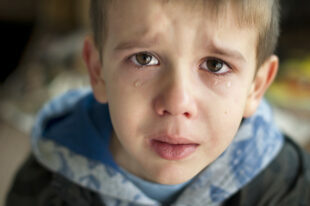 Children who are facing abuse problems may face several symptoms such as anxiety, stress, and anger. Besides that, they find it difficult to focus more on their studies and other activities that can affect their lives significantly. Some children even face relationship issues with their parents that can result in potential threats. It is advisable for the parents to consult with a physician and psychologists to find solutions for the problems as soon as possible. 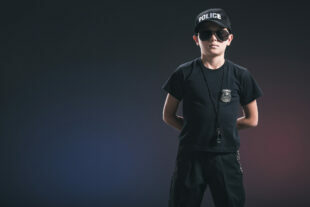 Here are some tips available for children to prevent crimes. • Parents should encourage children to note down the details of criminals such as physical characteristics, clothing, and body language. What to do when parents suspect abuse? 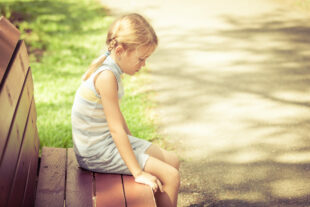 Abuse can happen anytime in a child’s life that can lead to various problems. Parents who suspect abuse of a child should follow certain things for increasing confidence levels to a large extent. Here are some tips available for the parents when they suspect abuse.to children when they are not telling anything to them. Most children find it difficult to talk openly about abuse and parents should converse with them in a friendly manner for knowing the details. An abused child may behave indifferently and parents should note down the actions in a diary that can help to find solutions immediately. Parents should take a child to a health professional for analyzing the symptoms in detail which gives ways for taking necessary actions. Several organizations provide helpline services for seeking immediate help for the problems and parents can call them for further assistance. Children who suffer from abuse problems need psychiatric support and counseling which can help to improve their health conditions with high success rates. What to do when a child is missing and lost? Parents should follow certain things when a child is missing from home or school which will help to get peace of mind. They should contact a local police station immediately with proper evidence. It is advisable for them to remain calm and patient until law enforcement arrives. In addition, they should provide all details to them that can help to trace a missing child as soon as possible. Some of them include fingerprints, recent photos, name, age, weight, height, identification marks, social media accounts, list of friends, phone number, health records, and clothes worn during disappearance. It is a wise one to get help from friends, relatives, and others which paves ways for knowing some information. Besides that, parents should post the details of a missing child on National tracking system that can reach people quickly. One should look in places where a child visits them frequently.